Many people hear the words Barefoot Resort and immediately picture the exquisite Yacht Club Villas condominiums. 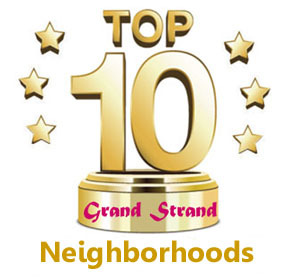 The four high-rise towers sit immediately behind the Barefoot Landing Shopping Complex and offer some of the most spectacular views of any resort in the Grand Strand. There are four towers overlooking the marina and ICW, with the 4th one often called "The Barefoot Resort North Tower". It is considered to be a residential building and doesn't have the condo-hotel reputation of the other three. It's the building that stands away from the pool and noise, but it's still just steps to the fun. All residents at Barefoot enjoy an oceanfront private cabana with shuttle services in the summer. With a monstrous designer swimming pool and spa, tropically landscaped grounds, a 5-star restaurant on-site, tennis courts, and shuttles to take the visitors to the four Championship golf courses, these condos are already a perfect choice for a golfing vacation. But add to that a courtyard with piped in music and fountains of water tumbling endlessly over stone; optional purchase of a boat-slip for owners, a marina for those boating needs, a day-dock, and even outdoor fireplaces to enjoy the marina views in the cooler weather. The Yacht Club condos in Barefoot are large, luxuriously furnished, have private balconies and all the upgrades you could ask for. The units come in 2-4 spacious bedrooms, and range from under $250k to around $500k for the biggest and have the best views. The Yacht Club Villas are truly the crown of North Myrtle Beach's condominium industry. 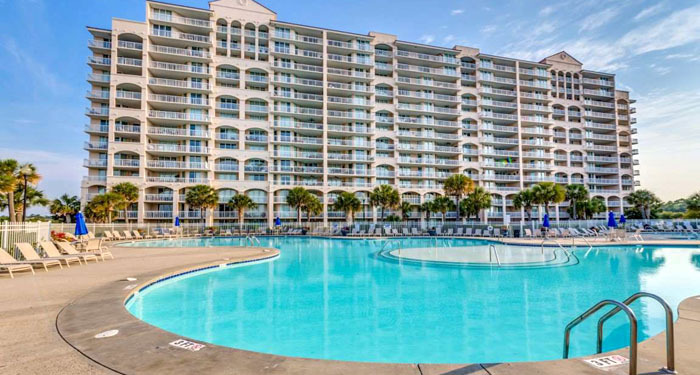 If you want to see some of the finest condominiums that exist in North Myrtle Beach, call us to tour the splendid condos at Yacht Club Villas and the North Tower. These are the best of the best.